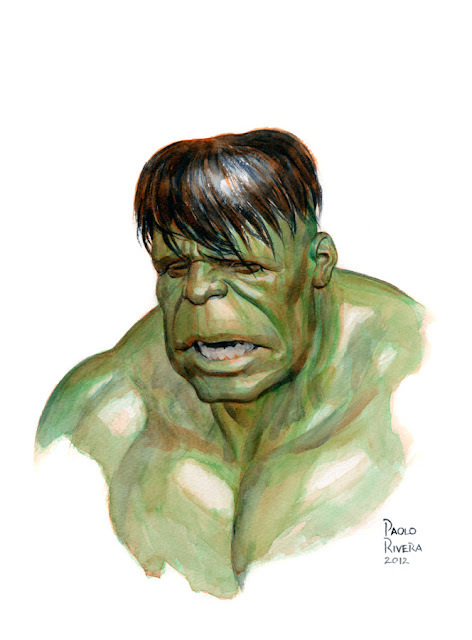 Grief-Stricken Hulk. 2012. Watercolor on paper, 9 × 12″. "We have a [sad] hulk." Very nice! I like a lot the warm shadows. I suppose so. Never seen the show, but I can see the resemblance.